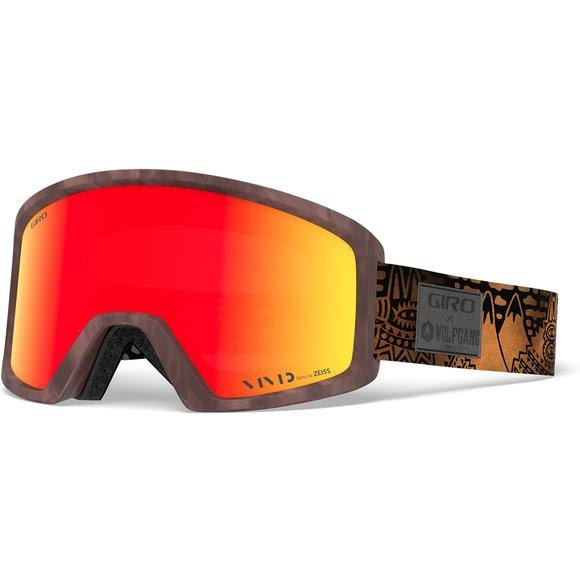 A team favorite, Giro's Blok combines the retro-style looks of a cylindrical lens goggle with advanced Expansion View Technology (EXV) to deliver a wide field of view enhanced with the precision of Lens By ZEISS. The Blok's blend of clean, classic style and under-the-hood EXV tech make it a versatile, go-anywhere goggle that truly works as good as it looks. A team favorite, Giro &apos;s Blok combines the retro-style looks of a cylindrical lens goggle with advanced Expansion View Technology (EXV) to deliver a wide field of view enhanced with the precision of Lens By ZEISS. The Blok&apos;s blend of clean, classic style and under-the-hood EXV tech make it a versatile, go-anywhere goggle that truly works as good as it looks. This lens is unbeatable in the most challenging conditions. The spectral curve is tuned to allow a high portion of long wavelength red light while reducing infrared rays.